Candidates with a passion for excellence, expertise in Residential Concierge and proven leadership experience are invited to apply for a career with Four Seasons. Candidates must have a firm knowledge of the area and be extremely organized and be able to multi task. 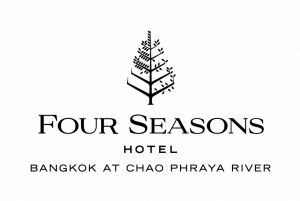 The Four Seasons Private Residences Bangkok at Chao Phraya is looking for a Residential Concierge who shares a passion for excellence and who infuses enthusiasm into everything they do. Our Residential Concierge will have the opportunity to shape the resident experience by providing exceptional knowledge and service. This position reports to the Assistant Director of Residences. Operating from the Residential Lobby, the Residential Concierge responds to a wide variety of homeowner requests by accurately assessing the resident- s needs and inquiries; offering personal recommendations and personalized touches to achieve maximum resident satisfaction while complying with all Four Seasons- policies. Handles all resident interactions with the highest level of hospitality and professionalism - accommodating special requests whenever possible; resolves resident complaints; assists residents in all inquiries in connection with residence/hotel/resort services, hours of operations, key residence/hotel personnel, in-house events, directions, etc. Responds to all resident requests in an accurate and timely manner making recommendations based on local knowledge and residence practices. Processes packages, faxes, messages, and mail which may be either outgoing or incoming in an accurate and timely manner; stores and retrieves resident packages, groceries, luggage, dry cleaning and flowers. Assists retrieval of resident- s vehicles if requested. Manages and provides access to the building(s) and units with all vendor/contractor/homeowners- service providers and visitors, after previous authorization received, assists with vendor/contractor scheduling, verifies identity and provides appropriate residence access for vendor/contractors and homeowners- service providers. Controls entry doors and elevator/lift access. Ensures that collateral and information for vendors, restaurants, museums, attractions, maps, and other local attractions are updated and current. Is knowledgeable about what activities are available in the local vicinity (theatre, sports, concerts, shows, special exhibits, sightseeing) and establishes close relationships with vendors in these areas in order to provide information, transportation, ticketing, and reservations for residents. Monitors the fire alarm panel; responds to any emergency situation, such as providing access to emergency personnel - fire department, ambulance, etc.